Click here to see the boys' photos of their trip to Germany. Click here to see the boys' photos of their trip to Austria. Click here to see the boys' photos of their trip to Portugal. Click here to see the boys' photos of their trip to Switzerland. Click here to see the boys' photos of their trip to France. Click here to see the boys' photos of their trip to Belgium. 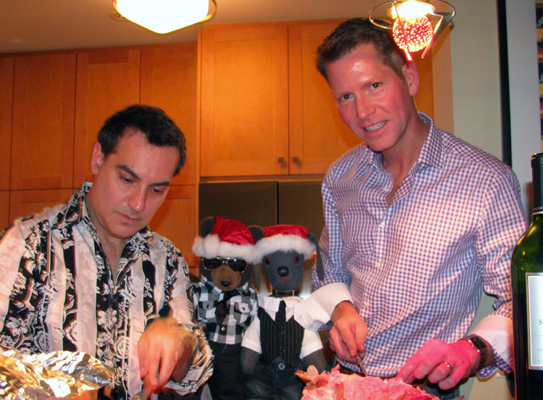 The boys invited some good friends over for Christmas diinner. Move your cursor over the image for a shot of their friends. Click here to see the boys' photos of their trip to Berlin. 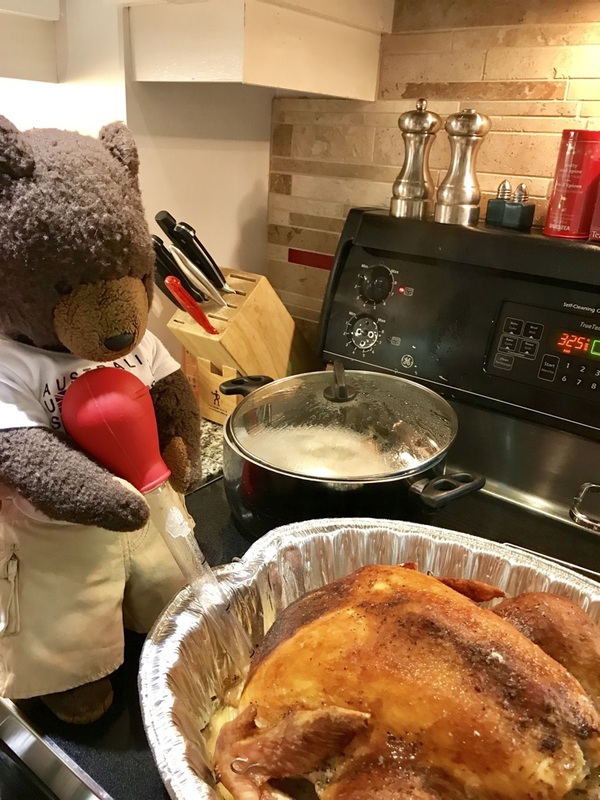 For this year's Thanksgiving, Bear took on the Herculean task of cooking the turkey. Next year he's planning to order in. Click here to see the boys' photos of their visit to Cape Breton. Click here to see the boys' photos of their trip to Madrid. Bear and Bow Wow created an Instagram account while traveling around Australia. Click the logo above to check out their Instagram photos. Click here to see the boys' photos of their trip to Brisbane and Sydney for New Years. Click here to see the boys' photos of their weekend in the Netherlands. 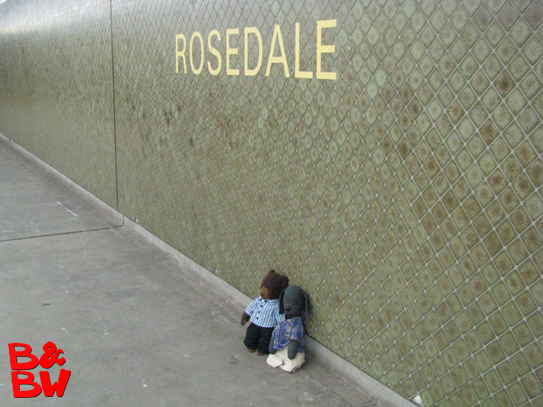 Click here to see the boys' photos of their trip Down Under for New Years. Click here to see the boys' photos of their trip to Ottawa. Click here to see the boys' photos of from their staycation summer in Toronto. Click here to see the boys' photos of their trip to Greece. Click here to see Ian and Allan's photos of their trip to Greece in 2015. Click here to see the boys' photos of their trip to Copenhagen and Malmo. Click here to see Ian and Allan's photos of their trip to Copenhagen and Malmo. Click here to see the boys' photos of their second trip to Israel. Click here to see Ian and Allan's photos of their second trip to Israel. Click here to see the boys' photos of their trip to Chicago. Click here to see the boys' photos of their tip to Rome, Italy. Click here to see Ian and Allan's photos of their trip to Rome, Italy. Click here to see the boys' photos of their tip to Puerto Vallarta, Mexico. Click here to see Ian and Allan's Travel Page. Click here to see the boys' photos of their Caribbean Cruise. Click here to see the boys' photos of their trip to Prague. The boys finally joined Facebook, creatinga a page where they can share their latest updates with their friends and fans. Click on the Facebook logo to go to their Facebook page and don't forget to click "like". Click here to see the boys' photos of their trip to London. Click here to see Ian and Allan's photos of their trip to London. Click here to see the boys' photos of their trip to Israel. 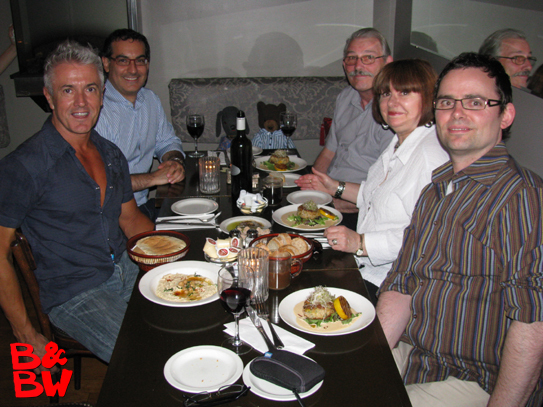 Click here to see Ian and Allan's photos of their trip to Israel. 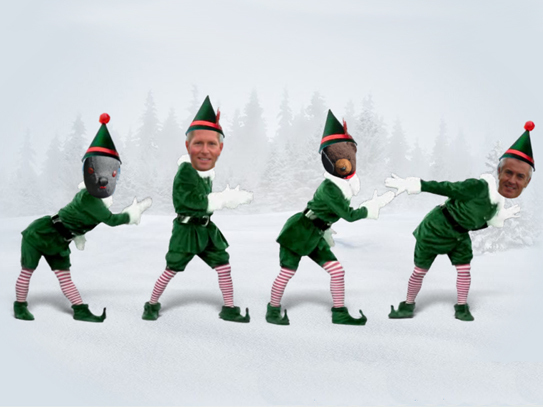 With the help of Elf Yourself the boys have coreographed a Christmas dance medley. 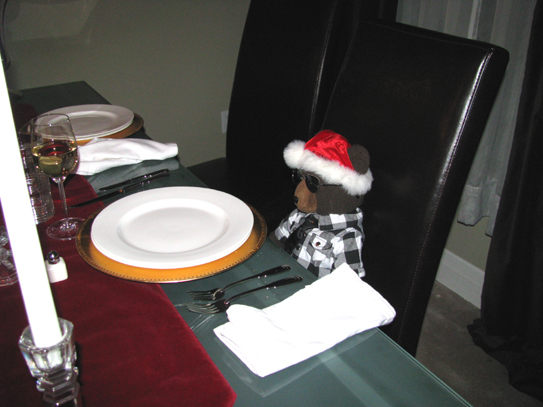 First at the table-the boys are always the first to take their seats at the table for Christmas dinner. 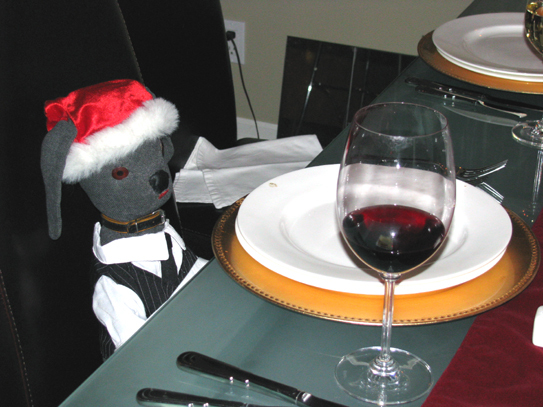 Equipped with a glass of red wine, Bow Wow patiently waits for Christmas dinner to be served. "I wear my sunglasses at night." 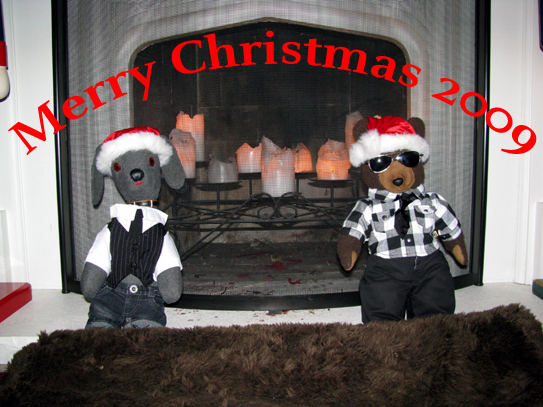 Bear refuses to take off the new aviator sunglasses Santa brought him. "What's taking so long?" The boys try to get the cooks to get a move on. 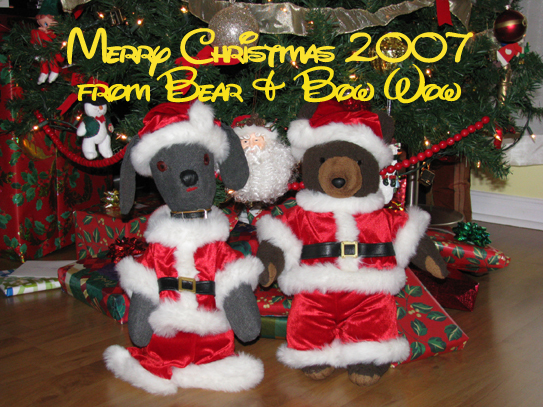 Bear and Bow Wow wish everyone a Merry Christmas and a Happy New Year. Click here to see the boys photos of their trip to the Netherlands. 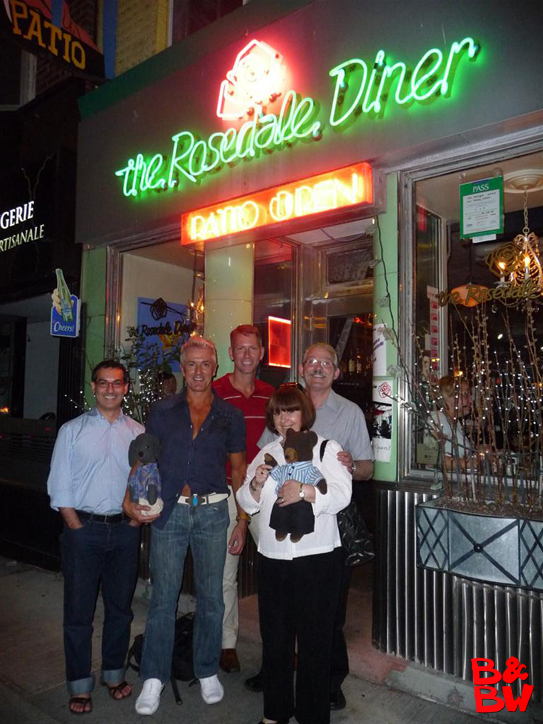 One late summer's evening the boys headed out to dinner in Toronto's Rosedale neighbourhood. 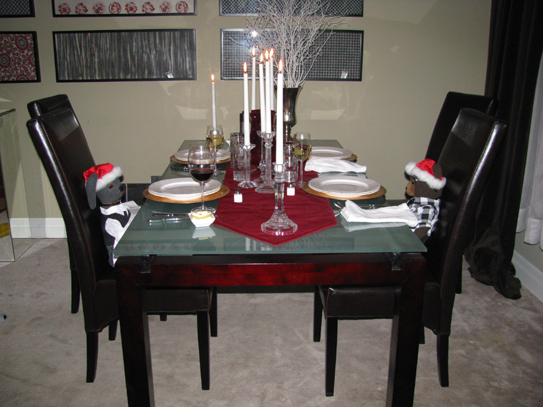 Naturally, they occupied the spots at the head of the table, where they held court for the evening. 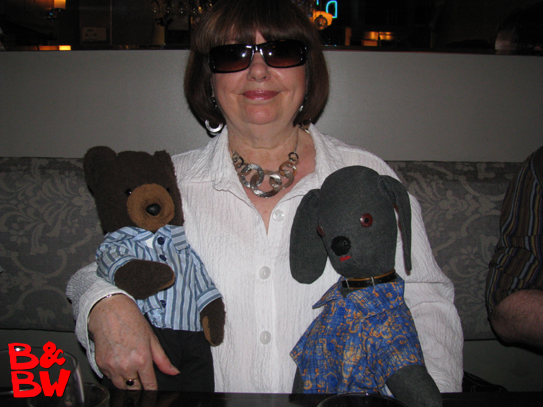 The occasion gave them a chance to get acquainted with their friend and number 1 fan, Sue. Since the onset of the recession, even the boys have become budget-conscious. A night out, now means taking the subway home, not hailing a taxi. 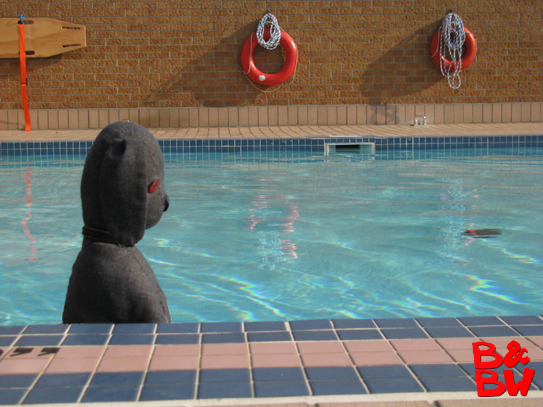 About to take the plunge; though the weather was mostly unpleasant in Toronto in the summer of 2009, the boys took advantage of the few nice days, by enjoying their pool. 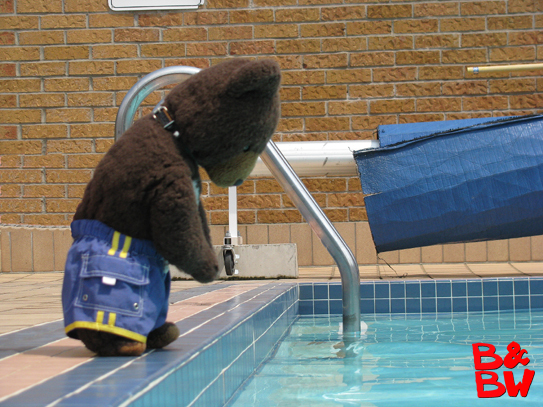 An avid swimmer, Bow Wow does laps around the pool--dog paddle, of course. 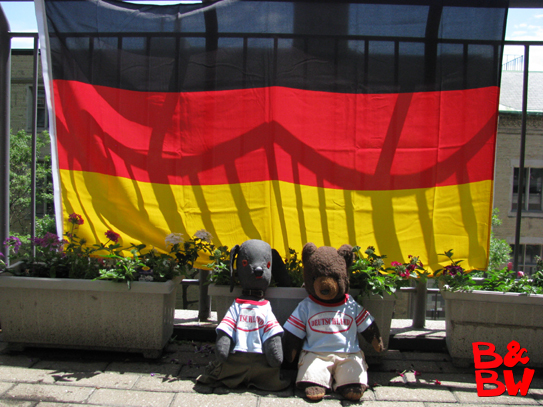 As a thank you for putting a link on their Germany page, the folks at the travel website, Dodo.com, sent the boys a German flag which they proudly hung on their balcony. Click here to see the boys photos of their trip to Thailand. Every year the boys stick to their well-established Christmas traditions: decorating the tree, eating a hearty breakfast, watching the Queen's Christmas message and then ripping open their presents. This year they decided to record it all in a video which they've posted on YouTube. If you double-click on the video above you'll go directly to the YouTube website. When watching on YouTube, don't forget to click on "watch in high quality" at the bottom right of the viewer window for a sharper image. 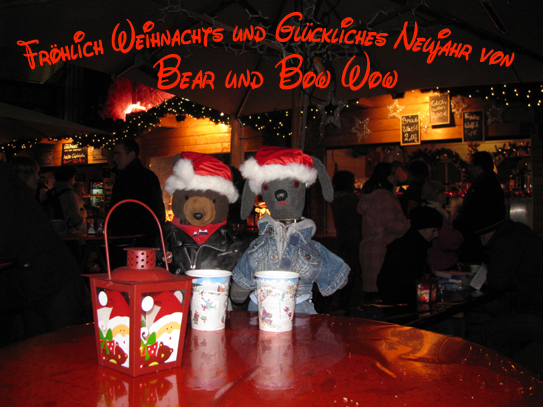 Just back from Berlin, the boys wish all their friends a Merry Christmas and Happy New Year. Click the picture above to see their Berlin photos. The boys choreographed this dance number with their cook, Allan, to send to their friend Adam for his birthday on November 12. Click here to see the boys' photos from their trip to New Zealand and Australia. Click here to see Ian and Allan's photos from their trip to New Zealand and Australia. The boys have added a their Hawaii 5-0 video to their Hawaii page. Check it out, as the quality is better than the version on YouTube below. 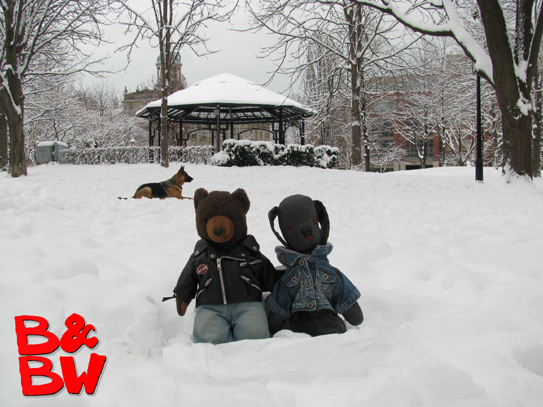 The boys trudged through the snow in St. James Park after a recent snowfall. 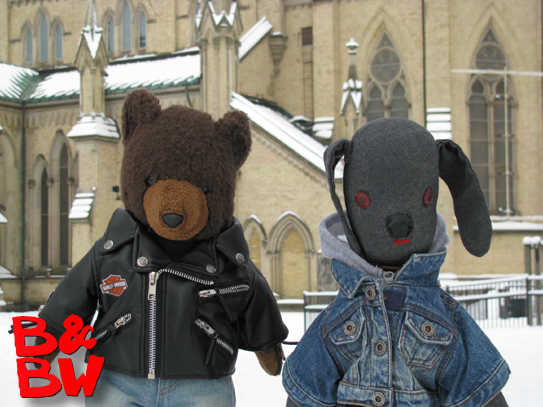 The boys were sporting their new jackets to keep them warm against the February cold. The boys' visit to Paramount Studios in 2005 has finally paid off. Their Hawaii 5-0 video has been posted to YouTube. There are also links to it on several other sites. 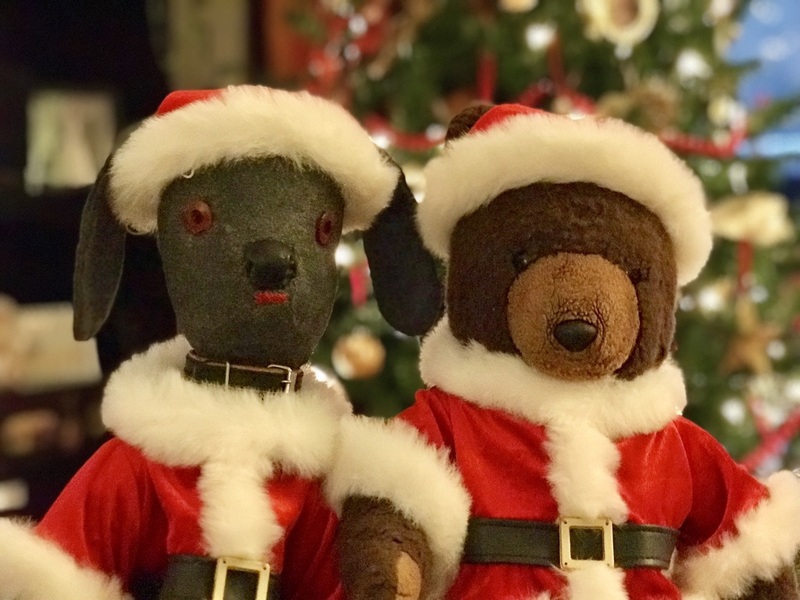 The boys send their Christmas greetings to all their friends. Their friend Anne Lee "elved" them and their friends on the "Elf Yourself" website. Click on the picture above to see them dance. Click on the picture above to download the Boys Christmas slide show. The boys finished up their summer with a visit to Spain. Click the photos above or the link below to see their photos. Click here to see their photos from Barcelona and Sitges. Ian and Allan's photos from their trip to Spain. On their annual summer visit to Cape Breton, the boys got to check out the site of the famous Tim Horton's Jesus, as well as the A & K Lick-a-Chick. Click the photos above or the link below to see their photos. Click here to see the Tim Horton's Jesus photos. The boys made a return visit to the Big Island of Hawaii, staying with friends in Kona. Check out the photos of the boys as they explore the island and learn how to surf. The boys have finally gotten around to updating their California page. Now, in addition to the Slide show, they've also posted some individual photos. Check out the pics of the boys as they tool around LA, including their time on the Paramount lot in the Entertainment Tonight studios with Mary Hart. They've added a few pictures of themselves opening and enjoying a nice bottle of cabernet sauvignon sent to them by their good friend Denise on the about us page. During the first weekend in March, the boys made a visit to Vancouver and have updated their Vancouver page. They've also added new photos on the "about us" page and the "at home" page. On New Years Eve, the boys were invited out to the home of friends for cocktails, dinner, and of course, a bottle of Veuve Clicquot to toast the New Year. 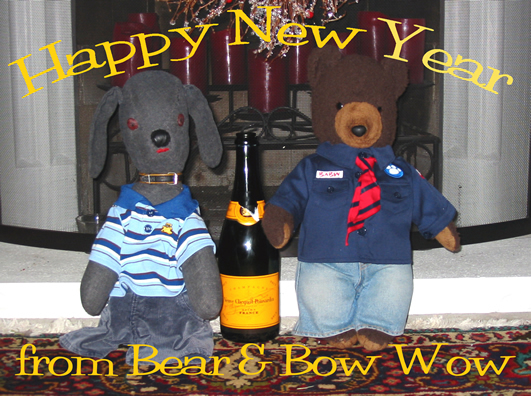 The boys wish everyone a Happy 2007! When it comes to beer, Bear refuses to drink anything other than Stella. Bear's ready to dig in! Bow Wow contemplates not using a fork and knife. "Hurry up, Bow Wow! The faster we get through this the faster we get dessert."